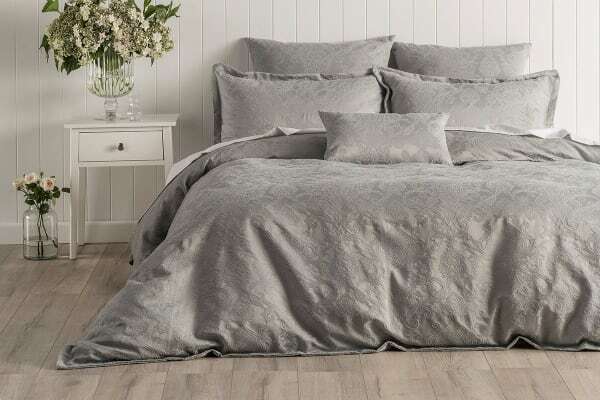 Bring an element of sophistication to your bedroom with the Onkaparinga Esther Jacquard Quilt Cover Set, which features a delicate jacquard design in a modern silver grey. The Onkaparinga Esther Jacquard Quilt Cover Set features a fresh design with an elegant touch. This sophisticated design is both subtle and stylish – making it the perfect choice for any bedroom decor.